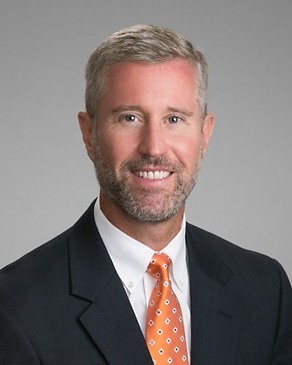 Steve Knight is a Shareholder in the Houston Litigation group and Practice Chair of the firm’s Appellate Law section. Throughout his career, Mr. Knight has successfully represented clients at every phase of the appellate process, from handling critical phases of the trial to assure error preservation, through briefing and arguing appellate cases in the Texas Supreme Court, the Fifth Circuit Court of Appeals, and intermediate appellate courts throughout the state. Mr. Knight has prepared and filed countless winning appellate briefs, achieving successful results in the vast majority of his appeals. Mr. Knight frequently consults with trial attorneys, both within the firm and outside of the firm, to provide guidance on important and complex matters, including error preservation, preparing customized jury charges, handling jury charge conferences at trial, crafting successful arguments for dispositive motions and briefs, and handling mandamus and interlocutory appellate proceedings to better position the case for success at trial. Most recently, Mr. Knight’s appellate victories have included: reversing a significant adverse judgment in a complex intellectual property dispute following a jury trial; affirming a favorable bench-trial verdict in a significant construction law dispute; affirming a summary judgment in a high-profile work-place shooting case. Other notable appellate cases handled by Mr. Knight are listed below. In addition to his appellate practice, Mr. Knight has significant experience in both state and federal courts successfully handling many other areas of civil litigation and dispute resolution, including matters involving insurance, contracts, employment, products liability, warranties, premises liability, consumer protection, and personal injury. Mr. Knight is a member of the Houston Bar Appellate Section and the Texas State Bar Appellate Section, where he currently serves as the co-chair of the Appellate CLE Committee. Bos v. Smith, __ S.W.3d __, 2018 WL 274914 (Tex. 2018). The Texas Supreme Court reversed a $7.5 million judgment entered against grandparents who were accused of “aiding and assisting” their daughter’s interference with their former son-in-law’s possessory rights and breaching various duties allegedly owed to their grandchildren. The supreme court rendered a take nothing judgment in favor of the grandparents. McClendon v. United States, 892 F.3d 775 (5th Cir. 2018). The Fifth Circuit Court of Appeals reversed a $4.3 million summary judgment entered against the owner of a medical practice, finding that the owner’s summary judgment evidence was sufficient to raise a genuine issue of material fact as to whether he can be held personally liable for a trust fund tax penalty. In re Matthew Cassar, No. 14-17-00825-CV, 2018 WL 830687 (Tex. App.—Houston [14th Dist.] Feb. 13, 2018). The Fourteenth Court of Appeals granted a petition for writ of mandamus in a probate proceeding, finding that the probate court’s order requiring an independent administrator to post a bond was an abuse of discretion. Seeger v. Del Lago Owners Association, No. 09-00450-CV, 2018 WL 2055435 (Tex. App.—Beaumont May 3, 2018). The Ninth Court of Appeals affirmed a judgment in favor of a homeowners association, entitling the association to collect unpaid maintenance fees and its attorneys’ fees. Sims v. City of Madisonville, __ S.W.3d __, 2018 WL 2752714 (Tex. App.—El Paso 2018). The Eighth Court of Appeals affirmed a plea to the jurisdiction challenge, finding that the appellant did not timely perfect his appeal. Kuentz v. Cole Systems Group, Inc., __ S.W.3d __, 2017 WL 5493177 (Tex. App.—Houston [14th Dist.] 2017). The Fourteenth Court of Appeals affirmed a summary judgment in favor of a pre-employment screening firm in a high-profile workplace shooting lawsuit, holding that the firm’s duties are limited to the services it agreed to perform and neither general tort concepts nor promotional materials give rise to heightened duties. Whole Foods Market Rocky Mountain/Southwest, L.P. v. Cleveland Construction, Inc., __ S.W.3d __, 2017 WL 3429939 (Tex. App.—Houston [1st Dist.] 2017, no pet.). The First Court of Appeals affirmed a significant bench verdict in a breach of contract case, holding that the project owner committed a material breach by withholding the final payment; the fact that a subcontractor filed a “fund-trapping notice” did not excuse the breach; and the contractual indemnification provision did not require general contractor to indemnify the project owner. Farmers Texas County Mutual Insurance Company v. Okelberry, 525 S.W.3d 786 (Tex. App.—Houston [14th Dist.] 2017, pet. denied). The Fourteenth Court of Appeals reversed a trial court’s improper settlement allocation, holding that community property laws do not apply to deprive an underinsured motorist insurer of the full settlement credit, and the insured, not the insurer, has the burden of proof with respect to allocation. Streamline Production Systems, Inc. v. Streamline Manufacturing, Inc., 851 F.3d 440 (5th Cir. 2017). The Fifth Circuit Court of Appeals reversed a significant damage award in a trademark infringement case following a jury trial, holding that the plaintiff failed to establish a legal or factual basis for the recovery of “royalty” damages, unjust enrichment, or exemplary damages. Syed, M.D. v. Wellness Pharmacy, No. 01-16-00856-CV, 2017 WL 4171939 (Tex. App.—Houston [1st Dist.] September 21, 2017, pet. denied). The First Court of Appeals affirmed the trial court’s ruling that business disparagement claims against a physician concerning alleged statements to shared clients are not health care liability claims because, “[a]t most, appellees’ claims are ‘merely tangential[ly] related to the medical serves provided by appellants,” which is insufficient to invoke the Act. Hartford Cas. Ins. Co., et al. v. DP Engineering, L.L.C., et al., 827 F.3d 423 (5th Cir. 2016). The Fifth Circuit Court of Appeals affirmed a summary judgment in an alleged duty to defend case, holding that a “professional services” exclusion in a commercial general liability policy was invoked such that the insurance carrier did not owe a duty to defend in litigation that stemmed from an accident at a nuclear power plant. Timothy White v. Regional Adjustment Bureau, Inc., 647 Fed.Appx. 410 (5th Cir. 2016). The Fifth Circuit Court of Appeals reversed an unusual and severe sanction order against a practicing attorney. McCrary v. Brian Davidson d/b/a Panoramic Investigations, 513 S.W.3d 1(Tex. App.—Houston [14th Dist.] 2016, no pet). The Fourteenth Court of Appeals affirmed a summary judgment in a disparagement lawsuit, reflecting the importance of an appellant challenging each potential basis for summary judgment when the trial court does not specify the precise ground for the ruling. Gunda Corp. v. Yazhari, No. 14-12-00263–CV, 2013 WL 440577 (Tex. App.—Houston [14 Dist.] Feb. 5, 2013, no pet.). The Fourteenth Court of Appeals reversed the trial court’s refusal to enforce an arbitration clause in an employment dispute. Weeks Marine, Inc. v. Garza, 371 S.W.3d 157 (Tex. 2012). The Texas Supreme Court defined what narrow instruction amounts to a “specific order” for purposes of the “exception” to contributory negligence in Jones Act cases. Presley v. N.V. Masureel Veredeling, 370 S.W.3d 425 (Tex. App.—Houston [1st Dist.] 2012, no pet.). The First Court of Appeals decided important issues arising under Chapter 36 of the Texas Civil Practice and Remedies Code—Texas’s version of the Uniform Enforcement of Foreign Judgments Act. Avelo Mortg., LLC v. Infinity Capital, LLC, 366 S.W.3d 258 (Tex. App.—Houston [14th Dist.] 2012, no pet). The Fourteenth Court of Appeals interpreted the Texas Tax Code and held that a transferee of a tax lien had a priority interest in real property. Saqui v. Pride Cent. America, LLC, 595 F.3d 206 (5th Cir. 2010). The Fifth Circuit Court of Appeals rejected the notion that courts in Mexico are deprived of jurisdiction over cases that have first been dismissed in the United States based on forum non-conveniens. In re Wakefield, No. 14-10-01160-CV, 2010 WL 5237857 (Tex. App.—Houston [14th Dis.] Dec. 15, 2010, no pet.). The Fourteenth Court of Appeals granted a petition for writ of mandamus, directing the trial court to vacate an order requiring funds to be deposited into the court’s registry. AccuFleet, Inc. v. Hartford Fire Ins. Co., 322 S.W.3d 264 (Tex. App.—Houston [1st Dist.] 2009, no pet.). The Fist Court of Appeals analyzed complex “additional insured” issues in an insurance coverage dispute. Jenkens & Gilchrist v. Groia & Co., 542 F.3d 114 (5th Cir. 2008). The Fifth Circuit Court of Appeals set aside a default judgment, affirming the proposition that any doubt should generally be resolved in favor of securing a trial on the merits. Braspetro Oil Services Co. v. Modec (USA), Inc., 240 Fed.Appx. 612 (5th Cir. 2007). The Fifth Circuit affirmed the trial court’s dismissal of a lawsuit based on a forum selection clause, holding that the forum selection clause applied and that enforcement of the clause was not unjust and unreasonable. Lone Star Heat Treating Co., Ltd. v. Liberty Mut. Fire Ins. Co., 233 S.W.3d 524 (Tex. App.—Houston [14th Dist.] 2007, no pet.). The Fourteenth Court of Appeals held that a “dishonesty” exclusion in an insurance policy did not apply with regard to a theft resulting from the named insured’s employee entrusting valuable metal to thief who posed as a customer. In re Craig's Stores of Texas, Inc., 402 F.3d 522 (5th Cir. 2005). The Fifth Circuit Court of Appeals resolved a long-standing banking dispute, holding that funds deposited into the registry of the court must be returned to the depositor if the court lacks jurisdiction over the substantive dispute. Schauer v. Morgan, 175 S.W.3d 397 (Tex. App.—Houston [1st Dist.] 2005, no pet.). The First Court of Appeals held that a city police officer was immune from liability in an action brought by an arrestee to recover for personal injuries after the arrestee refused to identify himself to the officer who was acting as a security guard at the time. Brenham Housing Authority v. Davies, 158 S.W.3d 53 (Tex. App.—Houston [14th Dist.] 2005, no pet.). The Fourteenth Court of Appeals held that statutes governing obligations of housing authorities under lease or rental agreements precluded the imposition of liability on the housing authority for a personal injury claim arising under a lease agreement. Palacio v. AON Properties, Inc., 110 S.W.3d 493 (Tex. App.—Waco 2003, no pet.). The Tenth Court appeals affirmed a summary judgment in a shooting/premises liability case, holding that criminal act was not foreseeable to the property owner and manager. Collinsworth v. Eller Media Co., No. 01-01-00749-CV, 2003 WL 21299954 (Tex. App.—Houston [1st Dist.] June 5, 2003, no pet.). The First Court of Appeals affirmed a summary judgment in favor of defendants in a personal injury action, holding that the injured worker waived for appellate review his claim that there was inadequate time for discovery before trial court granted summary judgment motions. Telthorster v. Tennell, 92 S.W.3d 457 (Tex. 2002). The Texas Supreme Court decided that the “risk” and “need” factors applicable to evaluating a police officer’s conduct in an emergency response context do not apply to injuries allegedly suffered during an ordinary arrest. Wal-Mart Stores, Inc. v. Reece, 81 S.W.3d 812 (Tex. 2002). The Texas Supreme Court clarified the standards of proof relating to circumstantial evidence and constructive notice in premises liability suits. Wal-Mart Stores, Inc. v. Bolado, 54 S.W.3d 837 (Tex. App.—Corpus Christi 2001, no pet.). The Thirteenth Court of Appeals reversed and rendered the trial court’s erroneous order granting judgment notwithstanding the verdict to a plaintiff in a personal injury/premises liability case. Rice Food Markets, Inc. v. Ramirez, 59 S.W.3d 726 (Tex. App.—Amarillo 2001, no pet.). The Seventh Court of Appeals reversed, in part, a judgment against a convenience store that was premised on theories of false imprisonment in relation to a theft incident, holding that there was insufficient evidence to support a mental anguish award. North American Van Lines, Inc. v. Emmons, 50 S.W.3d 103 (Tex. App.—Beaumont 2001, pet. denied). A complex multi-million dollar verdict resulted in joint and several liability on multiple theories against numerous defendants following a trucking accident. The Ninth Court of Appeals affirmed in part, reformed in part, and reversed and rendered in part, holding, among other things, that the driver, carrier, and subsidiary did not act with malice sufficient to support punitive damages award. Silva v. The City of Pasadena, No. 14-15-00062-CV, 2016 WL 1043135 (Tex. App.—Houston [14th Dist.] March 15, 2016, no pet.). Murray v. Chick-Fil-A, 626 Fed.Appx. 515 (5th Cir. 2015). New Medical Horizons II, Ltd. v. Jacobson, 317 S.W.3d 421 (Tex. App.—Houston [1st Dist.] 2010, no pet.). Robin Singh Educ. Svc. v. Excel Test Prep., Inc., 291 Fed.Appx. 620 (5th Cir. 2008). Fort Bend County v. Burlington Northern and Santa Fe Ry. Co., 237 S.W.3d 355 (Tex. App.—Houston [14th Dist.] 2007, pet denied). Fein v. R.P.H., Inc., 68 S.W.3d 260 (Tex. App.—Houston [14th Dist.] 2002, pet denied). Texas Lawyer article - "Six Ways to Avoid the Most Common Mistakes Trial Lawyers Make on Jury Charges"